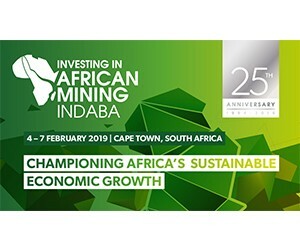 Investing in African Mining Indaba is returning to Cape Town from 4-7 February 2019 to celebrate its 25th anniversary and biggest event yet…meet 300+ mining companies and 500+ investors under one roof, as well as senior government officials and other industry stakeholders. With the President of Ghana already confirmed as a keynote speaker and more heads of state expected, this is one event you can’t afford to miss. Register now with our partner discount code XXXX to get 10% off. Sustainability Day - addressing negative mining legacies, local communities & environmental concerns.